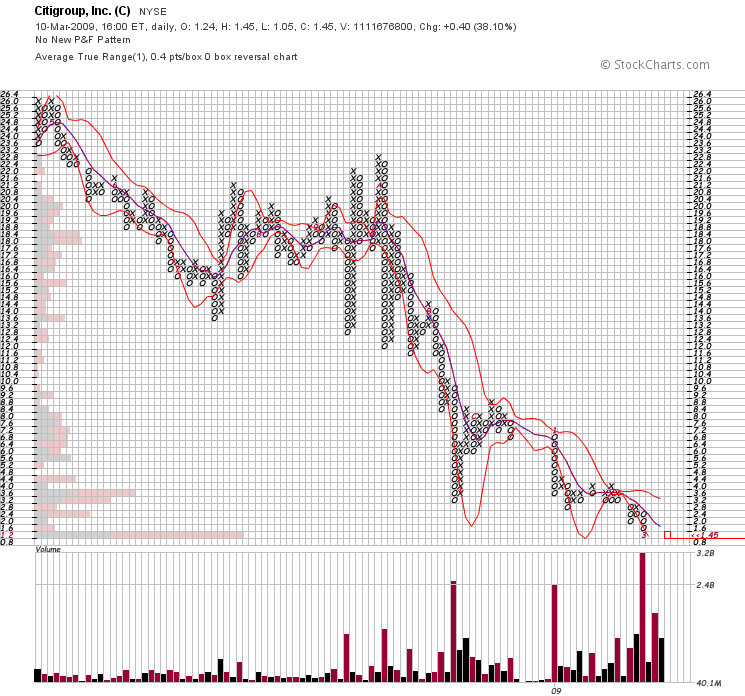 Citigroup (C) is making the news, check StockTwits feed for a few views. As doomed as Citigroup may be, it might rise to 3.20. In my last C post, I panned these folks, and for investors, they remain blokes. But for the nimble trader that likes an edge, C may offer an interesting bet. All the buyers above 1.20 have the sellers running for money. With so few asks till 2.4, this could blow quick like a virgin and whore. Risk remains high, don’t bet too much, a bounce is due, best of luck.